Rainbow Valley provides therapeutic services to children in both foster homes and in Residential Treatment Centers. We believe that all children and young adults deserve stable, caring and safe environments in which to live. Our Residential Treatment Centers focus on helping teen girls heal from the abuse and neglect they have suffered, and prepare them to live in a family environment. Rainbow Valley believes that trained, professional foster parents and staff can assist children in working through their past traumas, and learn to trust again. It is our intention to prepare children and young adults for reciprocal, giving relationships with others. The lessons our young people learn about being loved without being hurt will be passed down for generations to come. 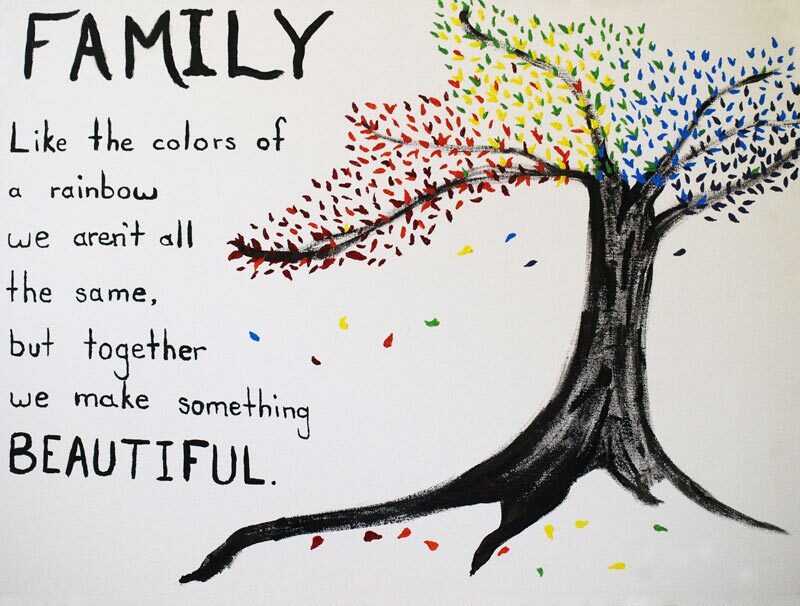 What is the difference between being foster parents for the county and for Rainbow Valley? As a Rainbow Valley foster parent, you receive a great deal more emotional support and assistance than the county social workers are able to provide. You can generally reach your social worker 24 hours per day, every day. If your worker isn’t available, you can reach the Executive Director at any time. Can I choose the ages and gender of children who come into my home? Yes, you let us know what you are willing to do. Our greatest need is families who have space to take sibling groups of 3 or more children, and for families willing to accept teenagers. Before a child comes to your home, we share the information available and you decide if you are willing to accept these particular children. How soon can we have children join our family? The process generally takes 3 months, if you promptly take care of the paperwork and fingerprints. Why do we need so much training? Children in foster care have experienced abuse and neglect, and separation from their families. Foster parents need to have information about how children are affected by trauma, and information about how they can help. Love is not enough to overcome challenges caused by prenatal drug and alcohol abuse, neglect, and abuse. You need to become more knowledgeable about how you can help and what resources are available to you. How much does it cost to become a foster parent? You need a tuberculosis test and a doctor’s statement that you are in good health, and you need to pay a small fee (no more than $20) for your fingerprints. The other costs are any furniture you need to buy to accommodate foster children. Furniture should be similar in quality to that of other family members. Your family has to have adequate income to meet the needs of your own family. As a foster family you do receive a stipend to reimburse you for the costs of caring for the children. Free movies in Merced: Movies begin at dusk. Activites and games for children prior to the movies. July 8 "Hotel Transylvania 2" Rahilly Park, 3400 Parsons Ave.
July 22 "Star Wars" Youth Sports Complex, corner of Wardrobe and West Ave.
Rainbow Valley Foster Family Agency is a private, non-profit agency whose primary goal is to provide specialized care services for children birth to 21 years of age, who have been physically, mentally, and sexually abused. Rainbow Valley FFA also takes pride in honoring and addressing the unique needs of sibling groups and teen mothers. Serving families in Central California - Merced, Madera, Stanislaus, Tuolumne, Calavaras and Mariposa Counties.